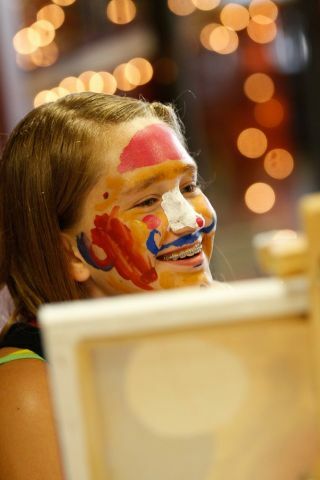 Corks N Canvas was started in 2007 by Cathy Deano and Renee Maloney in Mandeville, Louisiana. 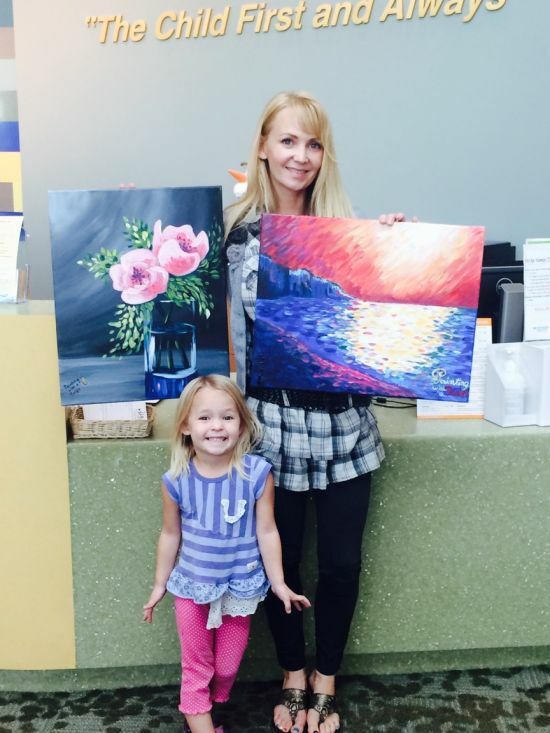 The concept pairs instructional art with friends, wine and a lively instructor to produce individual works of art. 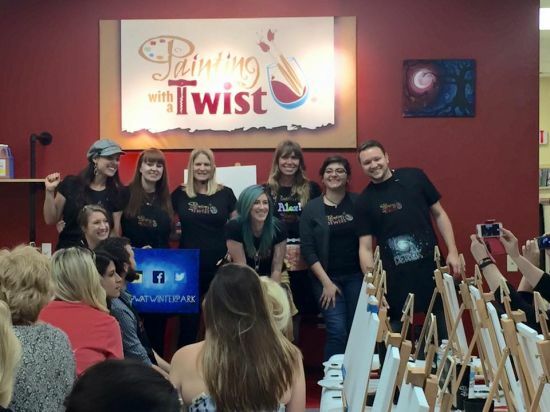 With four locations in the Greater New Orleans Area, the company began franchising the business under the mark Painting with a Twist® in 2009. To date, 269 franchise locations are open all over the country. Headquartered in Mandeville, Louisiana the company maintains the artwork copyrights and brand direction of the franchise locations to insure that every location produces the same fun experience by which the company was founded. 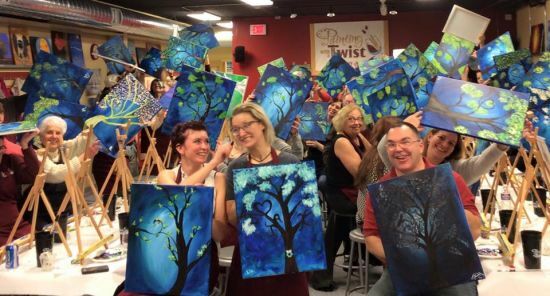 Painting with a Twist (formerly Corks N Canvas) is the largest employer of aspiring artists in the country. The company recognized early on that the talents and enthusiasm of the staff were key elements to the success of the product. 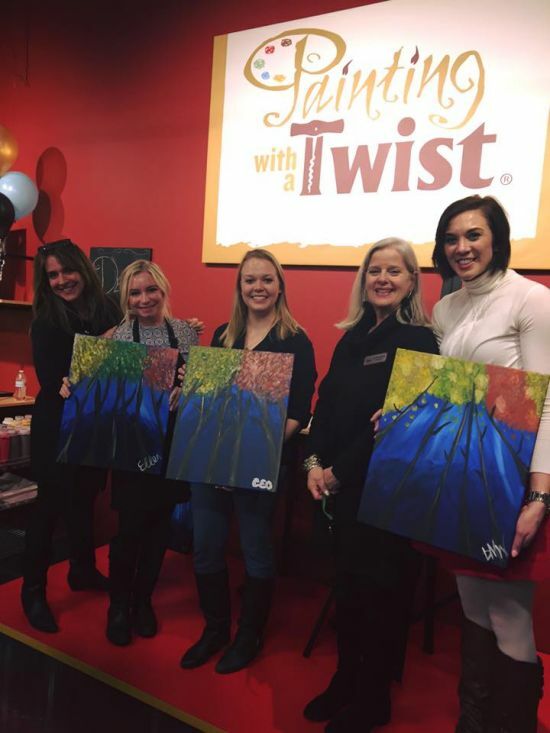 In just five years, Painting with a Twist, along with our 269 franchise locations, has produced and owns the copyright to over 3,500 pieces of art. Each artwork was conceptualized and executed by the instructors with the idea of being an easy to follow piece of art for the inexperienced painter. The artwork ranges from landscapes, abstracts and cityscapes, to creative renderings of seafood, animals, iconic buildings and florals. Because the company owners were both fundraisers in their previous positions, they have maintained that a core value of the company is to be an active member of the community and to focus on giving back. With this in mind, Painting with a Purpose was created. 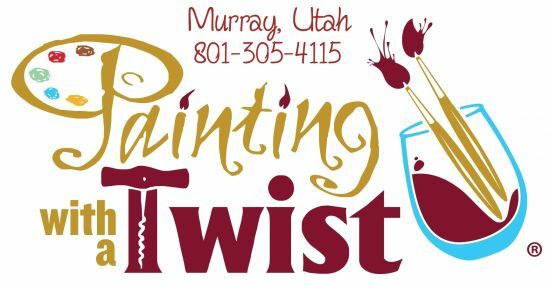 Painting with a Purpose is a monthly fundraising event held at all Painting with a Twist® locations as a centralized effort to raise funds that stay local in each market. The partnering nonprofits have included Shriner's Children's Hospital, Huntsman Cancer Foundation, Special Operations Warrior Foundation, and many more! All you need is at least 10 friends and the studio is yours. If you want the main room on Friday or Saturday night, the minimum is 20. We have the private party room that you can book on weekend nights for a minimum of 10, max of 16. Make your reservation and let the party begin, bring your drinks and snacks, everything needed to paint supplied for you. Girls night out, special occasions, office parties, church groups, showers, birthdays, school Activities, fundraisers, graduation , we’ll book it! The cost is $25.00 for a children's age 7-12, 1.5 hour class; $35.00 for a two hour class and $45.00 for a three hour class per painter. You can choose from any of the over 6000 paintings in our gallery. Our maximum capacity is 48 in the main room but we can accommodate 150+ for offsite events, if location provided by host permits. We supply the artist, paint, canvases, easels, brushes and aprons. You may bring drinks along with snacks or appetizers. A credit card is required at the time of reservation. It is used only to hold the reservation. Remember, there is a minimum of 10 guests, so you will be charged if the party minimum is not met. Since we are reserving a time slot and our studio for your group we require a 7 day cancellation notice IN WRITING, either by email or brought to the store. Please note that at a private party which is closed to the public, alcohol is allowed. All participants attending must be reserved prior to the class. The studio must be reserved in advance by a particular group or for a particular event. Public walk ins are not allowed.